Quantum is a Dakkamite alien who is searching for his fellow alien brethren. Quantum teams up with Graviton, but the partnership is short-lived. Zazzala is the leader of the hiveworld Korll, hence the name Queen Bee. 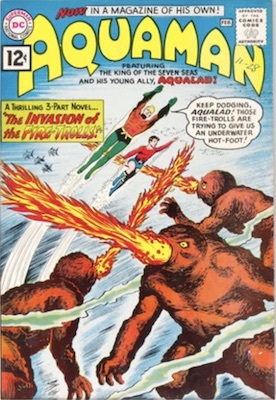 In seeking a new home for her species, she hopes to conquer Earth, but is stopped by the Justice League. 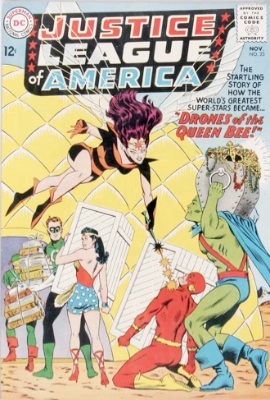 After being absent for several decades, Queen Bee reappears and teams up with Lex Luthor in a number of his schemes. The Queen of Fables is an evil sorceress from another dimension, who was exiled to Earth and imprisoned for her crimes. Centuries later she awakens, creating havoc for the Justice League. 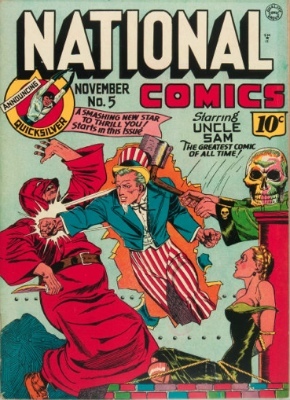 Later, the superheroes imprison her in a book of United States Tax Codes. Vic Sage was a famously outspoken investigative journalist. He became The Question after finding out that a scientist, Dr. Rodor, had been betrayed by a colleague after the two developed Pseudoderm, an artificial skin that was intended to save lives, but which proved toxic. Sage uses a small amount of Pseudoderm to alter his appearance and stop the rogue scientist. Later, with Dr. Rodor's help, Sage decided to pursue stories and justice using a newly-refined and safer version of Pseudoderm to alter his appearance and clothing at will, along with his skill in martial arts and as a detective. 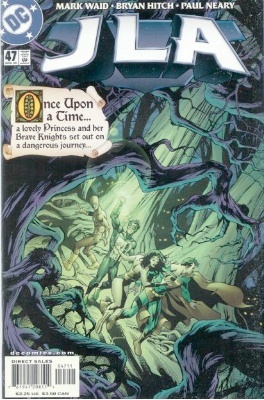 Later acquired by DC, The Question is still active. The original Quicksilver was Quality Comics' speedster character, with the usual powers of super-speed and all the things that go with it. In the Golden Age, his origin was never revealed. In fact, Quality was so tight-lipped about Quicksilver that his secret identity was never even revealed, except for the first name "Max." 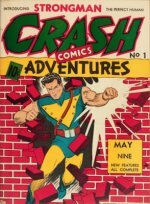 Like many Golden Age heroes, Quicksilver came and went, but years later was acquired and rebooted by DC Comics, where he would be given a detailed backstory and incorporated into DC's speedster mythos. Quicksilver is Pietro Maximoff, a mutant who is later revealed to be the son of Magneto. Along with his twin sister, the Scarlet Witch, he has been duped and recruited by Magneto (who he does not yet know is his father) as part of the Brotherhood of Evil Mutants, hell-bent on destroying or converting the X-Men. His superpower is superhuman speed, and he has always worn a costume in a grayish-blue or green color with a lightning bolt motif. His hair is naturally grayish-white. 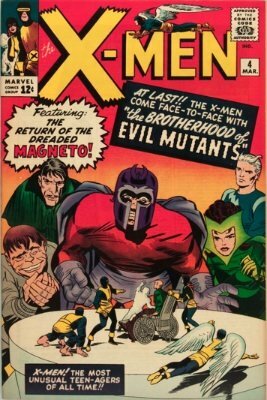 He and his sister eventually realize that Magneto is evil, and defect from the Brotherhood to join the Avengers. Pietro has been an on-again, off-again member of that team ever since. 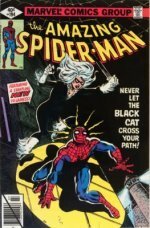 Click to sell your Silver Age comic book collection for fast cash! 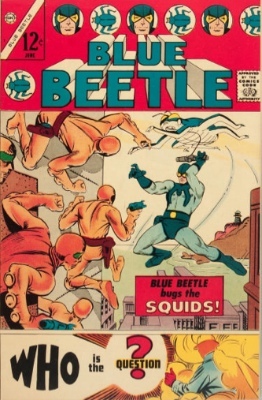 Qwsp is a creature from the 5th dimension who was once a friend of Aquaman, helping him during many adventures. 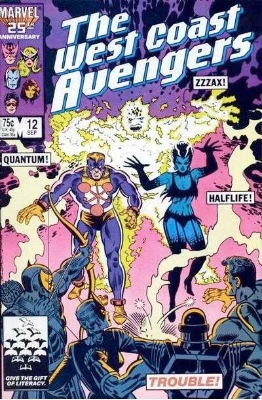 Later, Qwsp reinvents himself as a villain and battles the JLA.